When Xola gave up his dreams of being a soccer player, he became a couch potato. After Xola Magwaza was diagnosed with asthma, he gave up his dream of becoming a pro soccer player. Over time, he took to binging on the couch for comfort. “I was eating far more than the average person should. 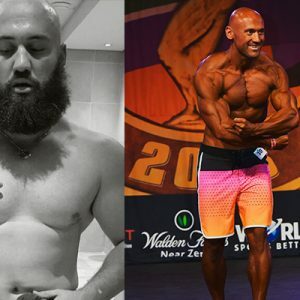 I ate my way to 110kg.” The word ‘exercise’ no longer existed in his vocabulary and the inactivity saw him pack on 33% body fat. Xola soon reached breaking point. The 30-year-old realised he needed to make a serious change to his lifestyle. His first step: to take ‘before’ pictures of himself and take his measurements. His next step: set attainable goals. Looking at pictures of himself as a teenager reinforced his desire to get back in shape. 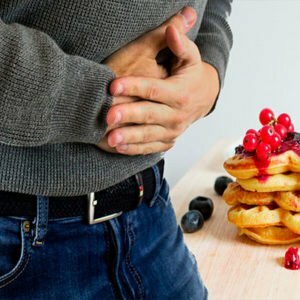 Dietician, Jenny Meyer, created an eating plan tailored to his needs and lifestyle. All forms of junk food were banished from his diet. 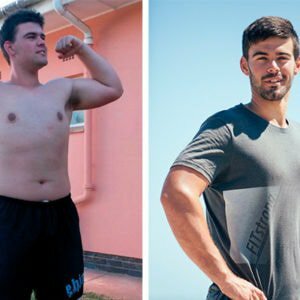 Instead, his eating plan centred around his workouts. “I had to make sure what I was eating complemented what I was doing in the gym. His gym routine resembled that of a bodybuilder. 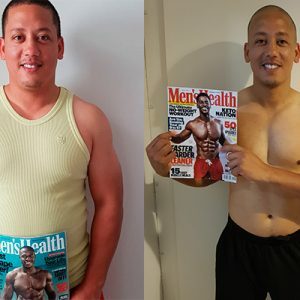 Xola went to the gym six times a week and used HIIT for 45 minutes each. 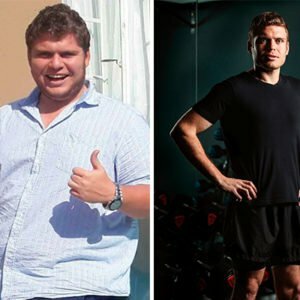 26 months later he lost 35kgs and dropped 18% body fat. He was the fittest he had ever been. But he wasn’t one to rest on his laurels. Having recovered from the injury, Xola hopes to compete in the South African Natural Bodybuilding competition. A feat that wouldn’t be possible if he hadn’t made the decision to turn his life around.